We know that the Vikings tried to create a settlement at L'anse aux Meadows on Newfoundland around the year 1000. A report by Owen Jarus at LiveScience adds that these Norsemen also visited the Notre Dame Bay region of that island as well. Kevin Smith, deputy director and chief curator of the Haffenreffer Museum of Anthropology at Brown University, explained at a recent conference that two jasper artifacts had been discovered on the site of L'anse aux Meadows, and when they underwent chemical tests it revealed they had most likely come from around Notre Dame Bay, which lies about 230 km southeast of the Viking settlement. The report also suggests that this might also be the area where the Vikings encountered the Beothuk or other native peoples. 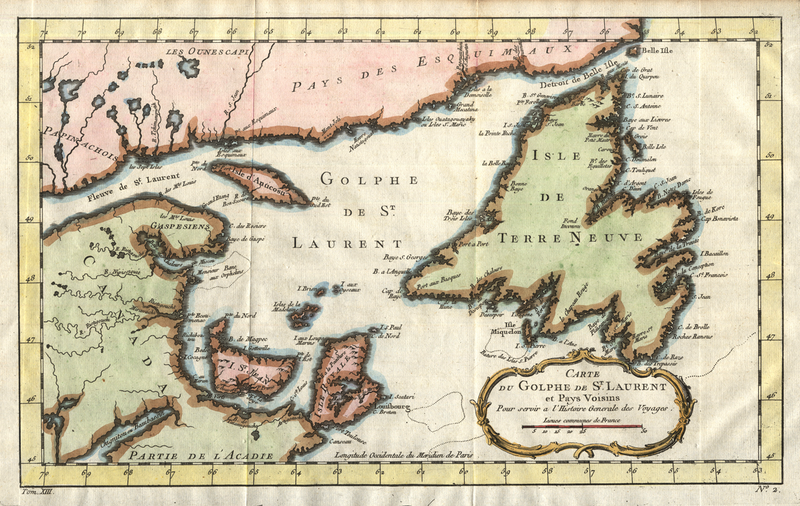 Jarus writes, "Ever since the discovery of L'Anse aux Meadows nearly 50 years ago, archaeologists and historians have been trying to uncover the story of Norse exploration in the New World. Previous research has revealed the presence of butternut seeds at L'Anse aux Meadows, indicating the Norse made a trip to the Gulf of St. Lawrence or possibly even a bit beyond. Additionally, Norse artifacts (and possibly a structure) have been discovered in the Canadian Arctic, indicating a trading relationship with the indigenous people there that might have lasted for centuries." The Atlantic reports on the underwater archaeology that has discovered the remains of the Egyptian port of Heracleion/Thonis. They write that "sometime around the 8th century AD, Thonis sank into the sea. Most scientists believe that a combination of factors contributed to the cataclysm: a rise in sea level, coupled with a sudden collapse of the sediment-heavy earth on which the city was built. Whatever the causes, though, the results were clear: Heracleion -- Thonis -- essentially collapsed into itself. The city built upon the water plunged into it." Archaeologists from the University of Sydney have discovered the lost city of Mahendraparvata. The Sydney Morning Herald tells the story of how the archaeologists used airborne laser technology to scan the area, which lies in northern Cambodia. Damian Evans, director of the University of Sydney's archaeological research centre in Cambodia, explains "with this instrument - bang - all of a sudden we saw an immediate picture of an entire city that no one knew existed which is just remarkable." This city was built by the Khmer people in the 5th century AD and included dozens of temples. In 802 AD the famous city of Angkor Wat was founded 40 kilometres to the south. Mahendraparvata was abandoned and gradually became covered over with jungle.